Dear Reader, We are providing here for UPSC IFS Exam Syllabus 2017 & Indian Forest Service Exam Pattern for IFS Exam. Union Public Service Commission will ready to conduct Indian Forest Service examination at the various centers. Aspirants, you know that with the help of exam UPSC Syllabus you will get all detail about the examination like the subject topic and total question etc. So appliers must check this section and collect UPSC Indian Forest Service Syllabus. Then get the idea and prepare exam time table and give your best in the examination. UPSC conducts the Indian Forest Service examination to recruit eligible candidates every year on 110 various posts. If you are applying for Indian Forests Service exam, then you are required to appear in the civil services (preliminary) examination. Applicants who are qualify the same for going to the second stage of Indian Forests Services main examination (written and interview). 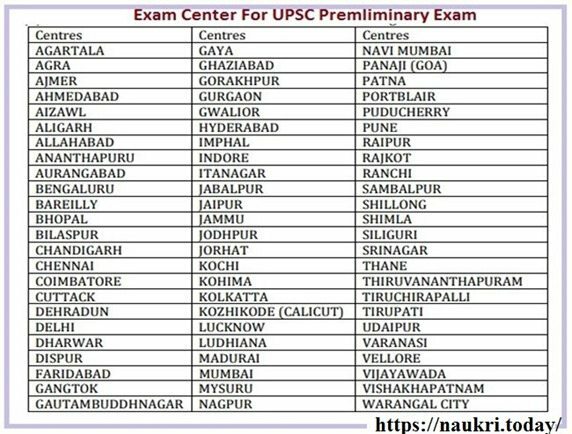 Here our team members of naukri.today providing you the more details of UPSC IFS Exam Syllabus 2017 and Exam pattern/ UPSC Syllabus in the below segment of this page. Summary For UPSC Recruitment 2017 | UPSC IFS Exam Notification | UPSC Syllabus : Union Public Service Commission (UPSC) has released the official notification of Indian Forest Service (IFS) Examination 2017. As per the UPSC IFS Exam Notification, the last date to apply for the IFS exam is 17th March 2017. The UPSC IFS Job is a very important for the applicants and everybody want this job but the selection of this will complete on the basis of written examination and personal interview. So for the completion of written examination process applicants must search the UPSC IFS Exam Syllabus 2017 exam syllabus. UPSC IFS Exam Pattern 2017 | UPSC Syllabus & exam Pattern : The aspirants who ware looking for UPSC Indian Forest Service Exam Pattern for prelims and mains exam can be viewed over here. Candidates must have acquire the topics name and equivalent structure of exam. Indian Forest Service Exam Pattern & UPSC IFS Exam Syllabus 2017 determines the maximum marks, duration of exam and overall core and other details. The first stage is the Preliminary examination |UPSC IFS Exam Syllabus 2017 : The objective type examination would have two compulsory papers carrying 200 marks each. Both of these papers would carry four options for all the answers. The second paper, called the General studies paper-II would be a qualifying paper where the candidate would have to score the minimum qualifying marks which have been fixed at 33 per cent by the UPSC. Both the question papers will have questions in Hindi and English. There will be negative marking for every wrong answer & 0.33 marks will be deducted. Note that there will b e no penalty for blank question. The Preliminary Examination will have two papers for 200 marks each. The time duration for both the papers of prelims will two hours each. The Language for both the papers of Preliminary Examination is Hindi and English. Questions of English Language Comprehension based on Class x level will be tested through unseen passages from English without a Hindi Translation of the same. There will be four answers/options to every question in both the papers. The second stage is called the Main exam | Indian Forest Service Main Exam Pattern | UPSC IFS Exam Syllabus 2017 : This stage of the written examination consists of the following papers. The Paper 1 would be of General English and carry a total of 300 marks. The Paper 2 would be of General Knowledge and carry a total of 300 marks. For Paper 3 to Paper 6: Any two subjects to be selected from the list of optional subjects (200 marks). The Main Examination will be held on the following Centres : Bhopal, Chennai, Delhi, Dispur (Guwahati), Hyderabad, Kolkata, Lucknow, Nagpur, Port Blair and Shimla. Paper-III Any two subjects to be selected from the list of the optional subjects Each subject will have two papers, 200 marks for each paper. Candidates who are searching for this syllabus have to check here. We provide UPSC Forest Services Syllabus pdf with exam pattern. candidates who are interested to do UPSC jobs have to good preparation. UPSC is the One of the toughest examination But you can crack it with proper Preparation. UPSC Syllabus is the first step to start your preparation. candidates who are preparing for this exam have to download syllabus. we provide a direct link to get Syllabus pdf along with exam pattern here. 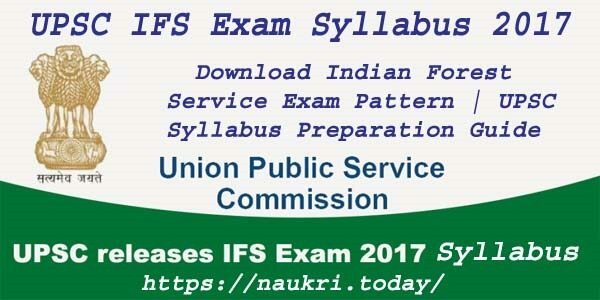 The exam contains following sections and section wise UPSC IFS 2017 syllabus is given here in this section. General Issues on Environment Ecology, Biodiversity and climate change – that do not require subject specialization. The standard level of papers in General English. UPSC 2017 IFS Exam Stage III Personality Test/ Interview | Admit Card | UPSC IFS Exam Syllabus 2017 : The last stage is called the Personality Test and carries 300 marks in total : In case you have any query regarding the IFS exam, you should visit the official website of the UPSC. 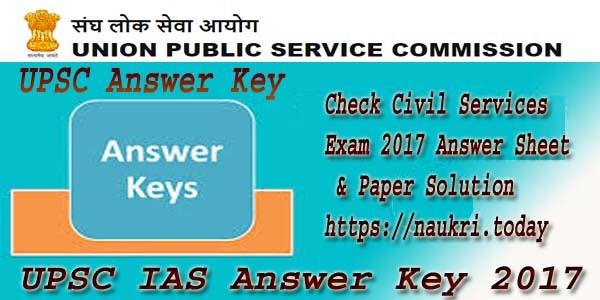 The Union Public Service Commission is going to upload UPSC Indian Forest Service Exam Admit Card 2017. Applicants may download IFS Main E-Admit Card through online mode from this page. Conclusion : Candidates who are going to appear for the UPSC IFS Exam 2017 will searching to get related information about UPSC IFS Exam Syllabus 2017. In our website, we are providing the best info regarding UPSC Syllabus, UPSC IFS Exam Pattern. Thank you for the useful information. 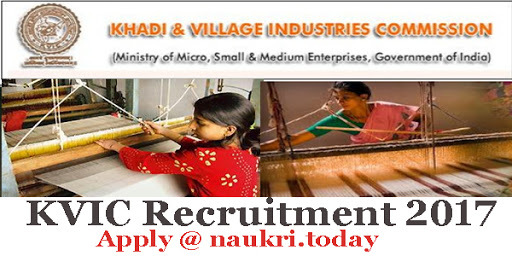 You might be interested in Latest Govt Jobs in AP.